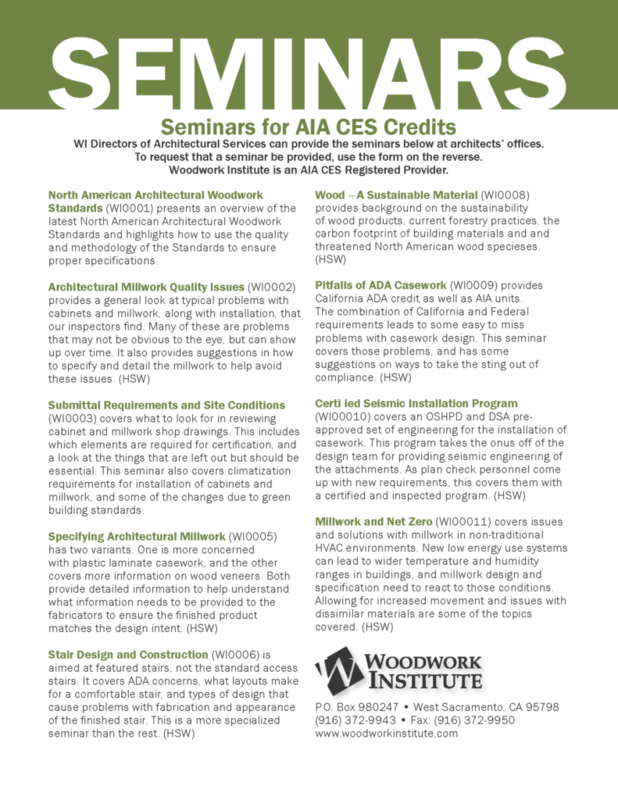 At your convenience, the Woodwork Institute will conduct a seminar for one or more participants at your location. Presentations may vary from 45 minutes to several hours; you determine the length of time. WI is a Registered Provider of American Institute of Architects, and its Continuing Education System program. Seminars given within WI’s western service area are free of charge. Seminars given outside WI’s western service area are free of charge but require payment of travel expenses by the inviting firm. For more information, click below to download a seminar flier and request form.